From 3 p.m. – 8 p.m.
Get up close to the top Columbia Cup hydroplane teams at the Hydros on the Mall event (NE JCP parking lot). Meet the teams behind the hydroplanes, get your photos and autographs from your favorite team. 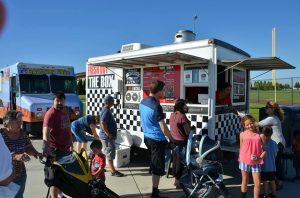 This year we have added food trucks, be sure to sample a variety of fabulous local food by Don Taco, Mami’s Spicy Ceviche, Ninja Bistro, Uncle Brothers Fish Fry, Delicious Crepes & Waffles, Snowie Shaved ice, Brothers Cheesesteaks, and 3 Guys Concessions. ModJamz will be rockin’ the house, vendor / retailer tents and family yard games for the whole family! Guaranteed to have something for everyone! 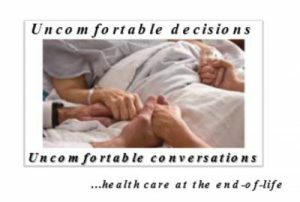 From 11:30 a.m. – 1 p.m.
Speaker, Laurie Jackson from Compass Care located in Yakima will be discussing the difficult choices that ourselves and loved ones have to make when a patient has a terminal illness. 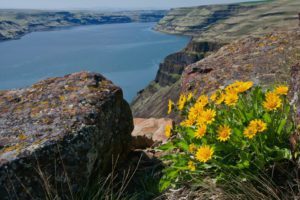 And part of what makes the Columbia Basin Badger Club so special is that members ask questions directly of our speakers and can expect direct answers and a better understanding of the issue. 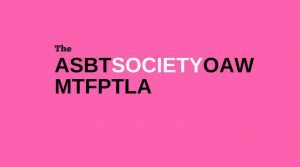 All our forums are open to the public and we invite everyone to join and share in the benefits that the club provides. From 5 p.m. – 9 p.m. Attend the Live @ 5 summer concert with a performance by Nerve Centr on July 26. 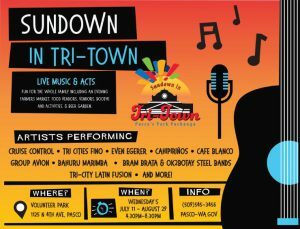 This family friendly concert in the park is Free with live entertainment, business vendors, food vendors and a beer and wine garden for those 21 and over. Note: this is the last concert for the season. 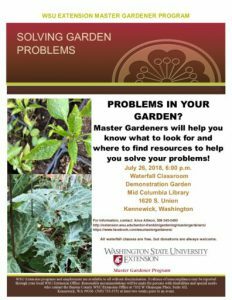 Master Gardeners will be on hand to help you find resources to help solve your gardening problems. From 6:30 p.m. – 9 p.m. Sing! Drink Beer! It’s Tri-City Water Follies’ Boat Race and Art in the Park Weekend! 3 While drinking quality craft beer. We’ve added a number of new songs in the guide of our Beer Choir Hymnal supplement (printed on spill proof paper) prepared by our amazing keyboard player Dan. 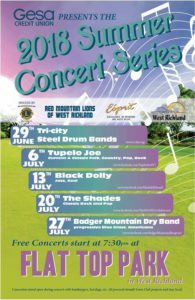 The Red Mountain Lions Club is sponsoring the outdoor summer concert series again this year with a fantastic line up for the public to enjoy free of charge. The Badger Mountain Dry Band will be performing on July 27. 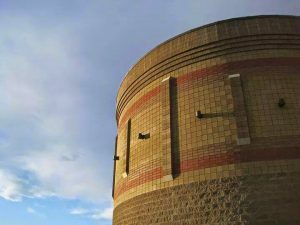 Concerts are held at the pavilion at Flat Top Park and begin at 7:30 p.m. The Red Mountain Lions Club will have refreshments for sale at a reasonable price. Note: this is the last concert for the season. 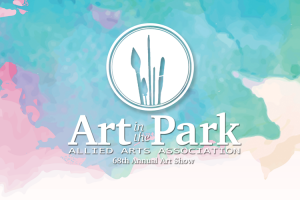 Friday from 9 a.m. – 8 p.m.
Saturday from 9 a.m. – 7 p.m.
Visit beautiful Howard Amon Park for the 68th Annual Art in the Park. The park will be filled with 220+ artist booths of all variety of art. This two-day art festival attracts artists from across the country, as well as many local favorites. 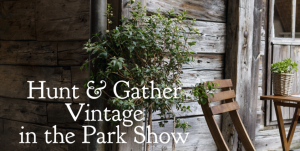 For the past 68 years, Art in the Park artists have showcased the best of clay, fiber, sculpture, painting, jewelry, photography and many other art forms. Art in the Park is a fun, family-friendly event featuring more than just art. We also showcase local entertainment groups and musicians in a beautiful river front park. Concessions are provided by local non-profit organizations. 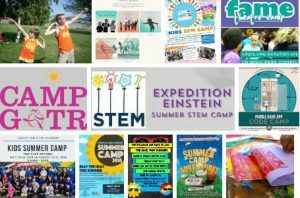 Join us as we welcome summer! 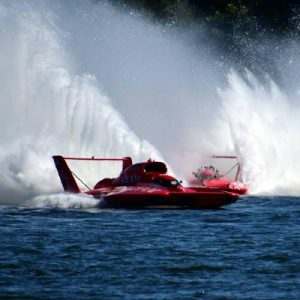 Hydroplane racing action starts Friday evening with Dash for Cash – the top four teams will compete for a generous cash prize. Racing starts Saturday, with two sets of heats and concludes on Sunday with two more heat sets and a Final Heat. There’s something for everyone this year at the Tri-City Water Follies! See you there! 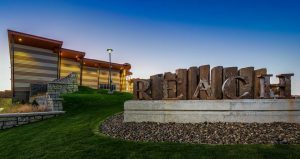 Our ticket packages include General Admission, Private Viewing Areas, Hosted Areas, RV Ticket Packages and Hydro Getaway Packages. General admission passes are available at all area Albertsons and Safeway stores. Note: there are parking fees in both Columbia Park and the Pasco side of the Columbia River. Love the thrill of the hunt! You will find your antique & vintage best score here! Wonderful vendors are bringing you fresh treasure finds. John Dam Plaza is a great location just a short walking distance from the 68th Annual Arts in the Park Show being held at Howard Amon Park. Tri-Cities has been home to the best Boat Race Parties for over 10 years. Its always been a race fan’s favorite cap to Saturday before the final races at the WaterFollies in Kennewick. Just a skip over the bridge and you’re there! 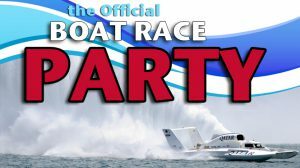 Fun entertainment, great music, live DJs, concert sound, and prizes – come join us at the official Boat Race Party source and cool off at the Hottest party of the year! 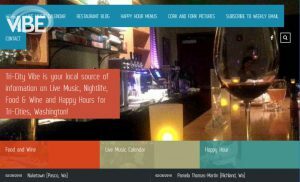 – Featuring Entertainers, Disc Jockeys, Live Bands, Karaoke, Live Performances, more! 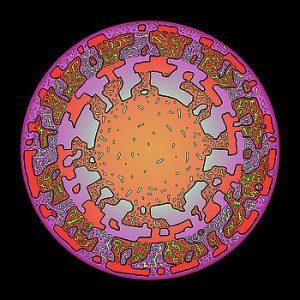 – Cash Prizes – Have fun and Win Cash! 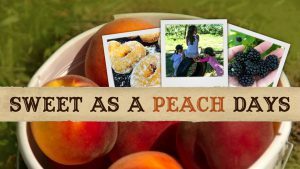 – Give-A-Ways – Car Stereos, Gift Cards, Helicopter Rides at Water Follies, and more! 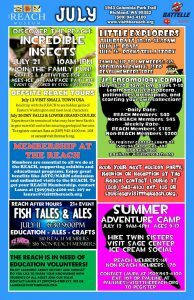 – July 27: Two Small Pieces of Glass: The Amazing Telescope at 7 p.m. and IBEX: Search for the Edge of the Solar System at 8 p.m.
– July 28: Secret Lives of Stars at 2 p.m. and Oasis In Space at 3 p.m.